How to rent a bus in Upper Austria? The Upper Austrian capital city Linz is the third-largest city of Austria and is numbered amongst the most active towns throughout Europe from a cultural point of view. You will find there historic sites as well as modern places, especially the Ars Electronica Center (AEC), a center for electronic arts. Thanks to its geographical position on the Danube, Linz does offer a particularly outstanding landscape. The best way to discover the various places of interest in Linz is to follow a tourist guide with thorough knowledge of the area in a sightseeing tour in Linz. Austria Bus will be delighted to organize any kind of sightseeing bus tours in Linz and opens the possibility for you to rent a bus for a transfer from or to Linz. The Mauthausen-Gusen Memorial reminds all visitors of a tragic chapter of Upper Austrian history. 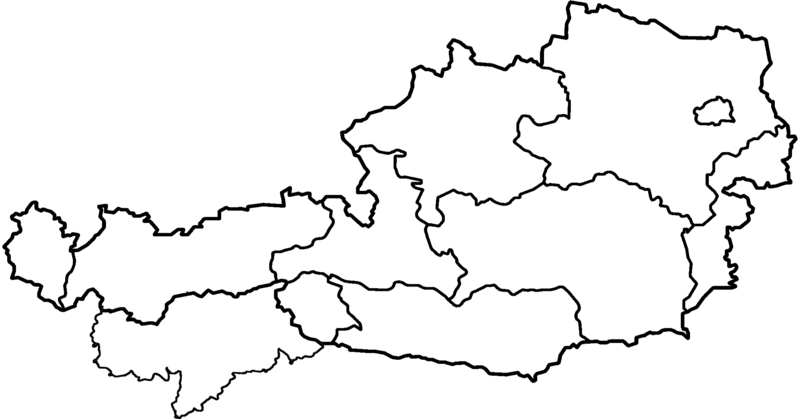 At the time of National Socialism, about 120,000 people died of exhaustion in the Mauthausen concentration camp or in its annexes in Gusen, due to excessive heavy labor or to extermination by SS-Totenkopfverbände (SS-TV) - meaning "Death's-Head Units" - the SS organization responsible for administering the Nazi concentration camps for the Third Reich. Now the former Mauthausen-Gusen concentration camp has become a memorial place, in order to keep alive the memory of all victims of Nazism and to honour the obligation to remember the Nazi crimes against humanity. Thanks to Austria Bus, you can of course rent a bus for excursions to the Mauthausen-Gusen Memorial, especially for bus trips or school excursions from Vienna, Linz and Salzburg. St. Florian's Priory is the biggest baroque monastery in Upper Austria. It was built in 1071 close to the capital city Linz. The most important places of interest in St. Florian's Priory are the Monastery library, the glorious Kaiser's room, the "Bruckner organ" that is in the Collegiate Basilica, or the Crypt beneath this Basilica, with the coffin of the composer Anton Bruckner. With regular guided tours within the monastery and very high-quality organ recitals, St. Florian's Priory is still a very attractive destination for thousands of visitors every year. 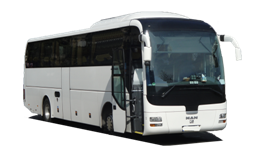 Austria Bus will be delighted to organize any bus excursion to St. Florian's Priory and places buses at your disposal for bus transfers for any event which takes place in St. Florian's Priory. The oddly fact that the town that has given its name to Styria - "Steiermark" in German - is now located in Upper Austria may be explained by the splitting of the Babenberg inheritance after the death of the last member of this ducal family in 1246. Ottokar II of Bohemia got Austria, whereas Hungary obtained Styria. As for Steyr, this splitting meant that the town should inevitably be reorganized, which has been fruitful. Thanks to a clever business policy formerly pursued, Steyr has won prestige and prosperity, which can still qualify this town now. Beside numerous buildings from the Gothic or the baroque or even the Renaissance periods in Steyr's Old Town, there are a lot of sights worth seeing in Steyr, among which are first of all the Christkindl Pilgrimage Church or the Christkindl Post Office, a purpose-built temporary post office which opens every year from late November onwards. Thanks to it, you can have your Christmas greetings sent to your family and friends all over the world decorated with the Austrian special Christmas postage stamp. Austria Bus will organize with great pleasure your bus excursions to Steyr - optionally with the visit of the nearby Kremsmünster Abbey - as well as bus tranfers from or to Steyr and throughout Austria. Enns was one of the first places in Austria to receive town privileges as the town charter dates back to April 22, 1212. However Enn's history dates from much earlier. During a persecution of Christians in 304 Saint Florian died of drowning in Enns. He became a martyr and at a later time, he has become the patron saint of Upper Austria as well as of the firemen throughout the world. More recently, Enns was for ten years the border town between the American and Soviet zones of occupation. In Enns, the most important places of interest are the remains of the town's medieval fortifications, the City Tower on the Main Square of Enns, the modern St Lawrence Basilica of Lorch with its Roman building remains or the Ennsegg Palace which is also a venue for a large number of performances and for other cultural activities. Austria Bus will be delighted to organize bus excursions to Enns, for example with a visit of St. Florian's Priory, or even as a breakpoint in a sightseeing tour in the Austrian valley of Wachau. 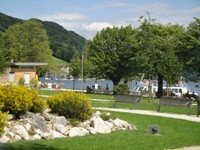 Apart from the aforementioned places of interest, there are numerous other sights in Upper Austria that may become items of a program of bus excursions in Upper Austria. It is with great pleasure that Austria Bus will organize for example bus excursions to Wels, Eferding, Kefermarkt, Freistadt and Braunau am Inn, sightseeing tours to Kremsmünster Abbey as well as bus excursions and sightseeing tours towards other destinations in Upper Austria. If you would like to book a bus for bus excursions and sightseeing tours in Upper Austria, feel free to send an email to the Austria Bus team or contact us by phone, we will be very pleased to advise you to make your trip unforgettable! Aside from sightseeing bus tours and excursions in Upper Austria, you can also at any time thanks to Austria Bus book buses for bus transfers in Upper Austria, for example for bus transfers from or to the "Blue Danube" Linz Airport / Hörsching, for bus transfers in, from or to Linz as well as for bus transfers from Upper Austria to Salzburg, to Munich, to Prague or to Vienna. Should you require further information concerning the bus rental for bus transfers in Upper Austria, we make ourselves available to answer your questions at any time. Coach with conductor next to Marchtrenk: Coach & conductor in all places of Marchtrenk and in any region of Upper Austria, or in other areas of Austria. How to book a bus in Upper Austria? or contact us by phone at: +43 1 966 02 61 or +43 6991 952 49 34, we will answer you with great pleasure!